The workshop will provide an overview of the hazard landscape and the risk management strategies available for off-campus programs. We’ll begin from the perspective of what trip leaders need to be able to do and what skills, understanding and information access they need. The workshop will include most recent data, standards and best practices. Although the lecture content is primarily focused on international programs, the larger format and discussions are intended to be inclusive of all off campus programming, both domestic and international. · To present an overview of domestic and international risk management for off campus programs. · To provide practical, actionable tools to assist faculty with the risk management of their domestic and international programs. · To enhance faculty and staff’s ability to reduce the likelihood of health, safety and security incidents and to more effectively mitigate the harm of untoward events when they do occur. Medical emergencies in remote locations can be challenging and life threatening, unless you are trained and prepared. This course is designed to give you the skills, confidence and judgement to deal with medical emergencies, as well as the knowledge on how to evacuate patients to appropriate medical care. Leading international programs calls for additional roles and skill sets beyond those typically exercised faculty and staff. Additionally, program leaders and their students will be in circumstances qualitatively different from the typical day on campus. This training will look at the process aspects of international programming. Specifically, we’ll look at setting tone, goals and expectations. We’ll discuss how to structure orientations and how to talk about the rules. We’ll work scenarios regarding “misbehavior” and mental health issues. 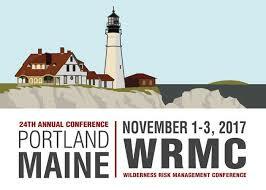 Please join Lodestone Safety International for a pre-conference workshop at the Annual Wilderness Risk Management Conference (WRMC). This workshop will identify fundamental program components (staffing, destination selection, info acquisition, communication, travel assistance services, medical strategy, transportation strategy, vetting, emergency response, working with providers, etc.) on a continuum in order to tailor risk management strategies to the particulars of a given program. You do not need to be attending the conference in order to participate in the pre-conference workshop; however, we strongly encourage you to consider doing so! Many of the themes and objectives of the conference translate nicely to those in education abroad. The WRMC is an excellent opportunity to learn more about mitigating risk in a variety of challenging locations, including those we encounter overseas. Workshop Description: An overview of the evolving hazard landscape and risk management strategies for study abroad intended for international trip leaders, program managers and administrators. Includes most recent data, standards and best practices. Participants will come away with a more informed perspective as well as actionable tools for reducing risk. Format consists of small group work on actual scenarios interspersed with content lectures. To present a comprehensive overview of international risk management for secondary school education abroad. To provide practical, actionable tools to assist faculty with the risk management of their programs. The training will provide an overview of the international hazard landscape and the risk management strategies available for international programs. We’ll begin from the perspective of what international trip leaders need to be able to do and what skills, understanding and information access do they need. Includes most recent data, standards and best practices. Participants will come away with a more informed perspective as well as actionable tools for reducing risk. Format consists of small group work on scenarios interspersed with content lectures. Participants will receive a readings packet prior to the training. This is a travel medicine course built over a wilderness first aid chassis. There are a number of full lectures reinforced by Patient Assessment System drills and debriefs. All scenarios will be internationally based (as opposed to wilderness activity based) and will include attendant decision making for accessing available medical care. Besides basic life support and CPR, the curriculum includes some advanced scope of practice protocols: cessation of CPR after 30 minutes, and the administration of epinephrine for anaphylaxis. Certifications awarded by Wilderness Medical Associates, USA (WMA). Curriculum will include information acquisition and vetting strategies, cross cultural implications for safety, and emergency response. We’ll look at program structure, policy making and training for staff and program participants. Cost: Early Bird Discount! $450 through January 29th. $500 after January 29th. Accommodations: Room reservations at the Astor Crowne Plaza are available at the conference rate beginning April 12, 2016. Please visit the Conference website for details and a link to reserve a room. A LIMITED number of these rooms are available, so reserve early! Hosted and sponsored by SAGE - Educational Travel for Global Engagement and certified through Wilderness Medical Associates, USA (WMA). Hosted and sponsored by Thinking Beyond Borders and certified through Wilderness Medical Associates, USA (WMA). Hosted and sponsored by the International Sustainable Development Studies Institute (ISDSI) and certified through Wilderness Medical Associates, USA (WMA).